UCLIC Research Seminar 28th November: Effie Lai-Chong Law (University of Leicester) on "Pick the Right Game Type and Game Experience Tool: Not that Easy!" Picking a right game type to maximise the impact of a digital educational game (DEG) for learning a particular topic is not easy. Picking a right tool for evaluating game experience with digital games is not easy either. In fact, both tasks proved very challenging. In this talk I illustrate these two tasks with reference to a study on a DEG for learning the concept of arrays in Java programming and to another study on reviewing the tool Game Experience Questionnaire (GEQ). The respective challenges are due to the broad range of game types as well as numerous ways of implementing game attributes and contrastingly a small number of validated game experience evaluation tools. Unexpected observations were obtained, including a non-significant difference in the learning effect between the DEG and its non-game version (control), the astonishingly inconsistent citation practice with regard to the GEQ and its non-replicable 7-factor structure. 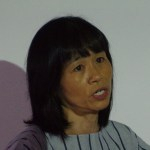 Effie Lai-Chong Law is a full professor in Human-Computer Interaction, Department of Informatics, University of Leicester, UK. Her main research focus is Usability and User Experience (UX) methodologies which are applicable to various domains, including technology-enhanced learning, games and gamification, health and wellbeing. Effie has chaired two COST Actions - MAUSE focusing on usability and TwinTide on UX - and played a leading role in other European and national research projects to which she has contributed her HCI expertise. Her recent work is on the measurability and theoretical frameworks of UX and automatic multi-sensory emotion detection.